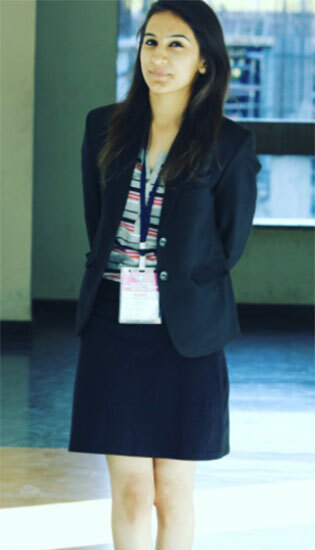 Renaissance Law College, Indore Provides unique platform where Law students can excel in their mooting activity, internship training & paper writing skills. Our students from five years integrated BA, LL.B. course, have achieved various winning awards in Moot Courts competition (International/National), internship & research papers publication. 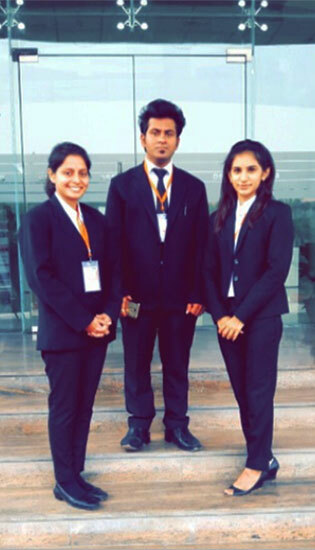 Kushal Bothra, Megha Mittal and Rashi Mehta in April 2016 participated in 5 th Paras Diwas International Energy Law Moot Court Competition which was held in University of Petroleum and Energy Studies, Dehradun.They were among the top 4 Best Speakers and top 10 in research. Renaissance Law College feels proud to share that in November 2016 Kushal Bothra, Rashi Mehta and Megha Mittal also participated in 3rd Vivekananda Institute of Professional Studies International Moot Court Competition in 2016 in which Rashi Mehta was awarded with the Best Speaker Award and also won cash prize of Rs 10,000/-. “Opportunities strikes only once”.Kushal Bothra, Megha Mittal and Rashi Mehta also went to National Law School of India University, Bangalore for internship under Cyber Forensic Cell under the guidance Prof. Dr.Nagarathna. 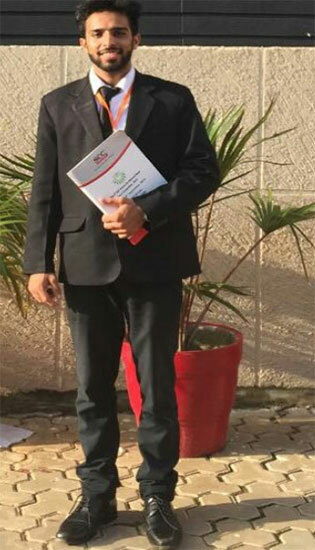 – Renaissance law college feels proud to announce that two of our students Kushal Bothra of IV year and Husain Ahsan of III year has successfully presented and published research paper titled "Hindrances in swift mechanism of justice and legal aid : Lacunae of Indian Judicial System", at National Conference on Legal Education in 21st century :Challenges, concerns and reforms. Their research paper is published in VIT School of Law,chennai Journal and their journal ISBN number is 978-93- 81-992- 85-2.